Ladies and Gentlemen, I present "Poochie", a 1961 Ford Econoline van which came factory equipped with neither a passenger seat nor a glovebox door. Still wearing its original paint and hand-lettering from the sixties, "Poochie" served twenty-plus years as a delivery vehicle and was parked in a warehouse every night of its working life. At some point in the eighties, it was replaced by a new Econoline. It was summarily rolled into the Clements family's lake house garage, where it sat untouched, until it was given to me some three decades later. 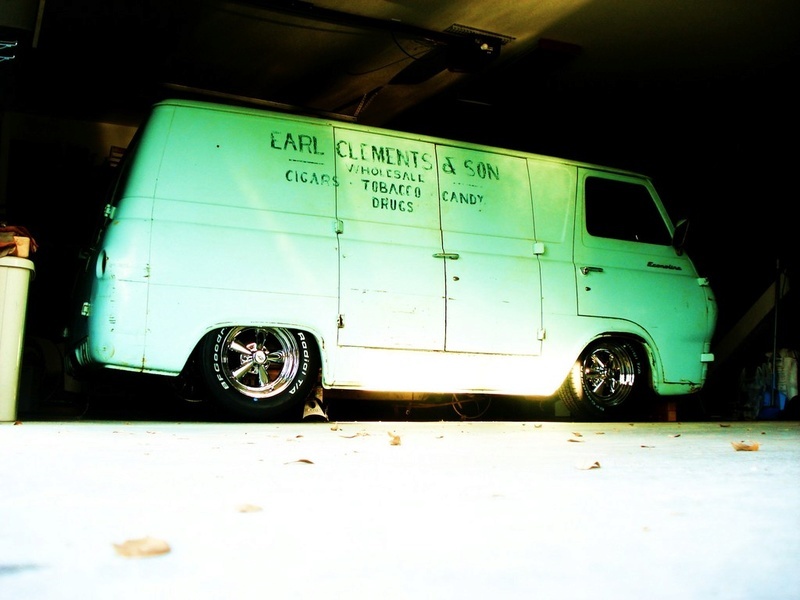 The van is named "Poochie", in honor of its original owner's nickname. Once we got "Poochie" home to Vinvanco World Headquarters, my son and I gave "Poochie" a deep cleaning and removed its engine, transmission and driveline before lowering it carefully onto a set of Cragar SS rims with BF Goodrich raised-letter tires. The plan is to leave the outer-body untouched, bruises and all, and to rebuild the entire drivetrain and suspension with modern components so that it sits and rides as close to the height of our mock-up as possible. We've got a long way to go, but I think "Poochie" would approve. RIP, Earl Clements. 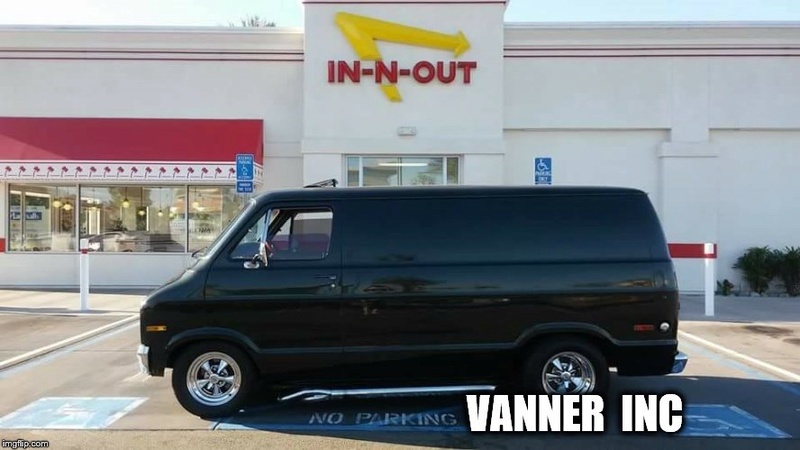 Your van while ride again. Keeping that original lettering and all it's little imperfections is a Great look!!! Poochie looks like it put in some hard work and deserves to show off the battle scars...Great story to go with it also! Thanks, Vanny. If you go to the Vinvanco.com website you'll find a whole blog on "Poochie".